For the form and Formtafeln by Meissen see Barbara Beaucamp-Markowsky, Porzellandosen des 18. Jahrhunderts, Munich 1985, Formnummer 84. 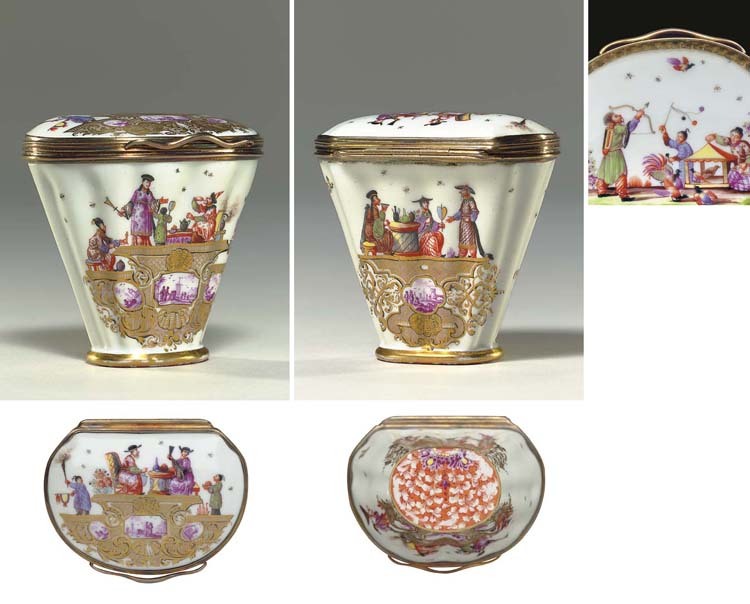 For a snuff box with similar decoration, also painted by C.F. Herold, see Christie's London, 08 July 2002, lot 15.